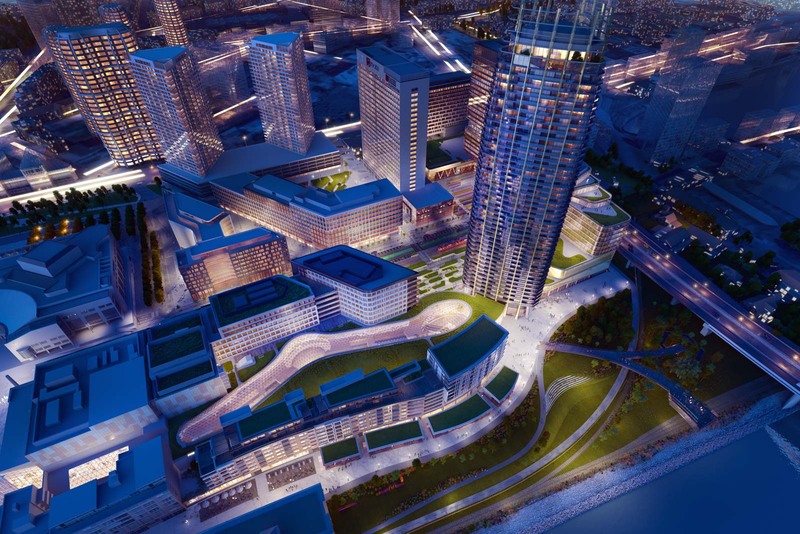 Eurovea’s second phase will bring a fully-fledged urban neighbourhood. 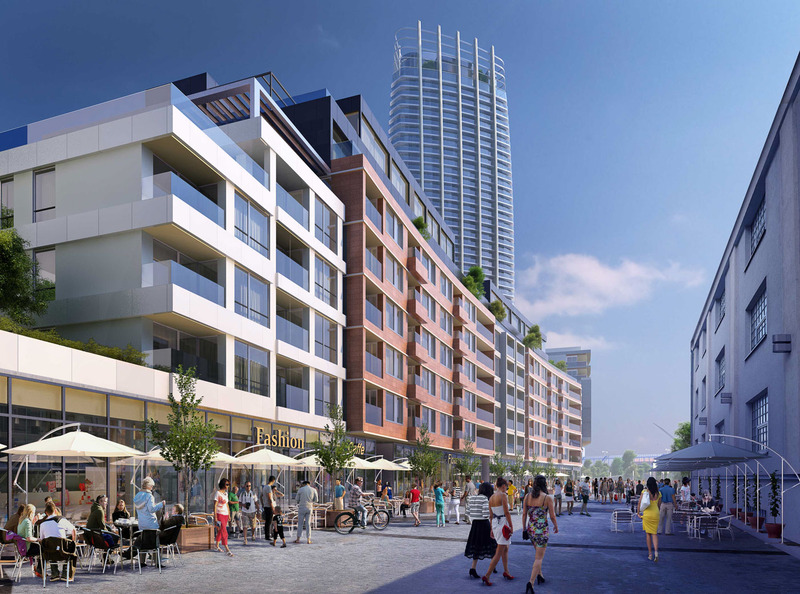 Eurovea’s meaning and function already go beyond a standard commercial-residential project. 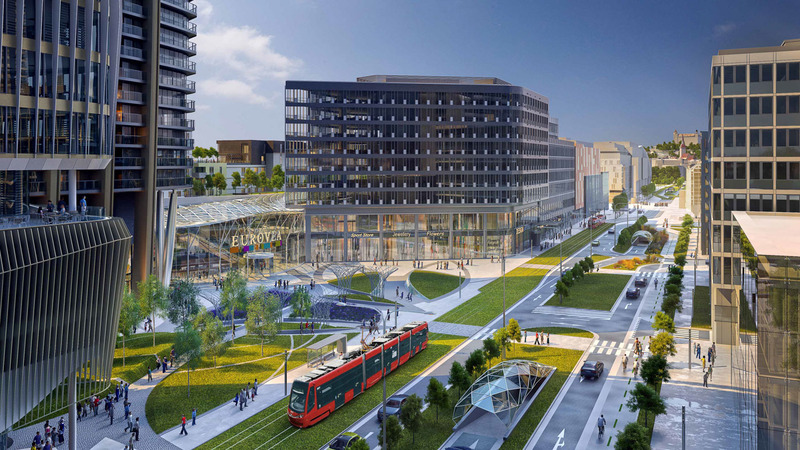 And the second phase will bring even more – a fully-fledged urban neighbourhood: public spaces, playgrounds, waterfront relaxation, restaurants, cafes, retail, residences, and offices. 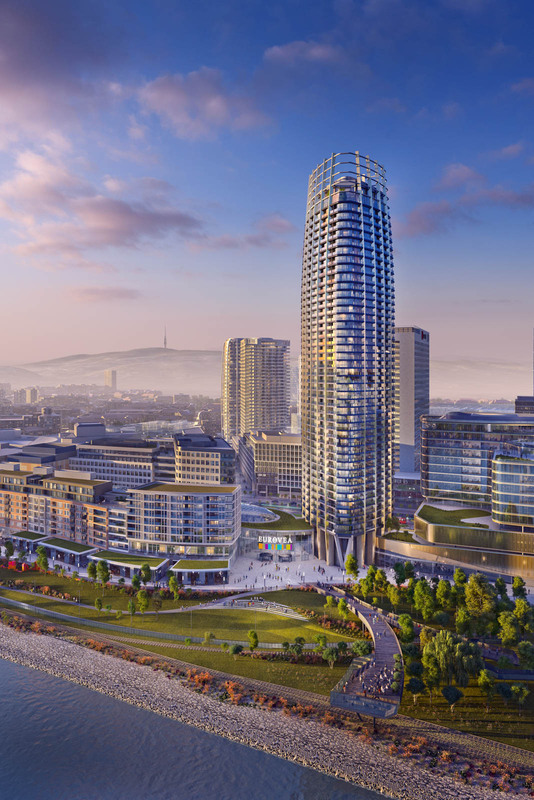 The architecturally unique Klingerka will bring modern living on 35 floors, and 10 000 m2 of BREEAM EXCELLENT certificated office space. The complex will have 600 parking spaces and a 4 000 m² relaxation park. 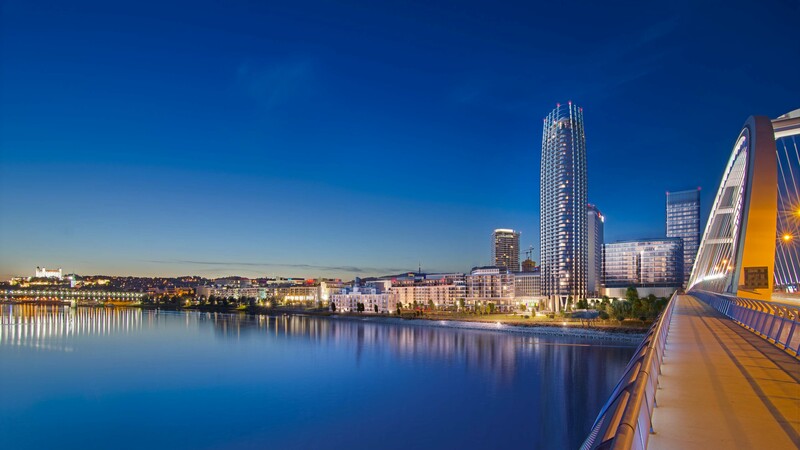 River Park multifunctional project on the Danube riverside offers residences, class A offices, retail space and luxury 5* Grand Hotel River Park near the historic town centre. 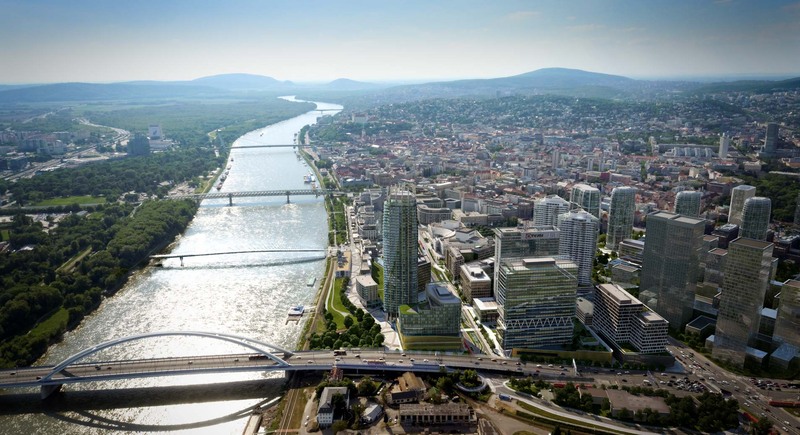 This quarter on the Petržalka bank of the Danube between Old Bridge and Apollo Bridge will complement Bratislava’s centre, creating balance and becoming a natural city gateway. Its concept is based on five public spaces - composing a functional unit that will enliven the neighbourhood all day. 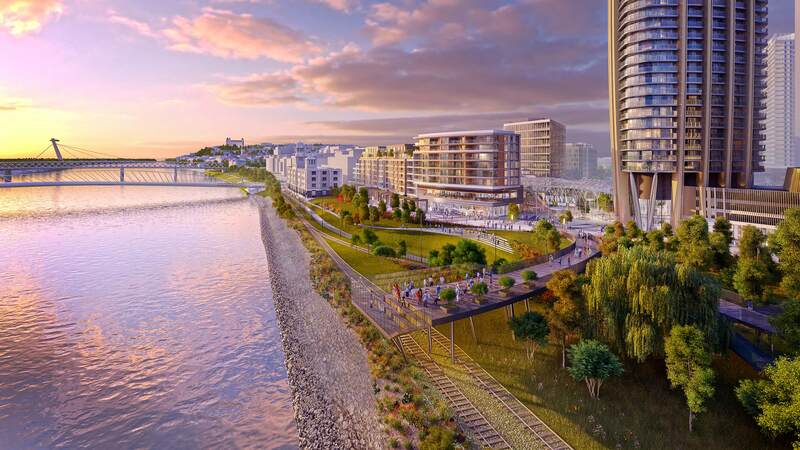 In their design, we draw on the underlying urban principles upon which we aim to build an attractive district where people will love returning and spending time.